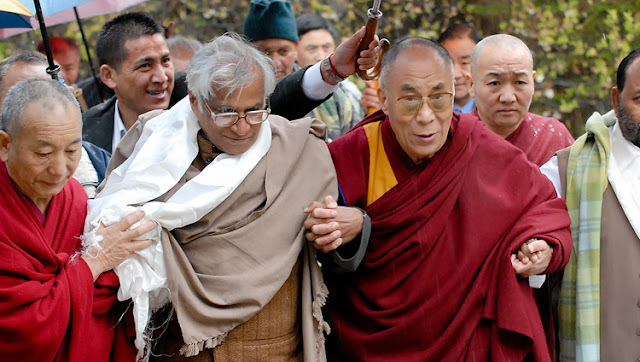 Dharamshala, 29 January 2019: Today, Tibet has lost one of her dearest and most trusted friend George Fernandes, who remained the strongest voice of solidarity for the Tibetan cause. His Holiness the Dalai Lama in his condolence message expressed, “George was a great humanitarian and believer in truth. Throughout his life, his was a voice for the millions of poor and needy people of the country. He had a firm conviction in justice and wisdom. He was a real heroic leader.”1 In India, he was popularly known as a union leader of the masses, an ardent Lohia comrade, and a seasoned politician. In 2007, George attended the 48th commemoration of Tibetan National Uprising Day at the courtyard of Tsuglakhang in Dharamshala where he said that the struggle must continue until the full resolution of Tibet issue. He asserted that he shall remain an optimist on the Tibet issue. Today, at this sad moment of his demise, Tibet has lost her trusted friend, who had consistently worked for Tibet for decades whether he be in the government or outside. Likewise, Burmese too will grief the loss of their dear friend. I vividly remember those days when we used to visit him at his MP residence during the long relay of protests in 2008. Though he was physically weak, we were empowered by his presence and his larger than life conviction. We bid farewell to George saab, and shall cherish and remember his goodwill and legacy forever. When all across India jubilantly welcome the new season with festivities of Makar Sankranti, Lohri, and Pongal, the news of untimely demise of Dr. Nandkishore Trikha, a longtime and trusted friend of Tibet has casted a shallow dark cloud of sadness that sunken me with heavy heart. It is such a great loss to the Tibetan people whom he dearly and passionated worked for Tibet till his last breathe. Dr. Saab as i usually called him with respect, was a fatherly figure to me who was always ready to help and guide us with his unconditional love and the larger-than-life wisdom and his down-to-earth humility. My association with Mr. Trikha started in 2008, after I returned from a sabbatical leave, to work as the coordinator of the India-Tibet Coordination Office in Delhi. My main job was to coordinate with the Indian supporters to organize and create awareness about Tibetan freedom movements in all parts of India. Interestingly, Indian support groups for Tibet are spread widely across India and are ideologically influenced by many great Indian leaders like Dr. Rammanohar Lohia, Jayaprakash Narayan, and Dr. Ambedkar. In order to have an effective campaign activities, the Core Group for Tibetan Cause was conceived during the First All India TSG conference in Chandigarh in September 2003. Dr. Trikha, was then appointed the first national convener of Core Group for Tibetan Cause, an apex body of Indian support groups for Tibet. On regular basis, I had frequent meetings and conversations with him either at his Press Enclave residence and in my office. Whenever we approached his residence, his wife generously offered us with sweets and fruits. I am privileged of working with Dr. Trikha in hosting several International and national conferences of Tibet support groups, like the Special International Tibet Support Groups Conference in Gurgaon in 2008; 3rd All India Tibet Support Groups Conference in Delhi in 2009; 6th International Conference of Tibet Support Groups in Surajkund, Haryana in 2010; and the 4th All India Tibet Support Groups Conference in Dharamshala, 2012. The Core Group for Tibetan Cause, and certainly under his leadership, many seminars on Tibet was held in Delhi over the years. Lately, Dr. saab was diagnosed with cancer and routinely visited hospital for regular medical checkup. Recently, when the Department of Information and International Relations of Central Tibetan Administration hold the historic 5-50 summit, Dr. saab’s name was written as a confirmed participant and I casually informed the organizer that Dr. Saab may not attend due to his chronic illness. But I was amazed by his tireless commitment for Tibet that he attended the three days program without failing even a single session. When I saw him during the registration, I accompanied and escorted him to his allotted room and alerted the organizer to arrange an usher to assist Dr. Trikha whenever needed. In between, I inquired him of any necessities required. Last Friday, after returning from Bodhgaya, i had a day long transit in Delhi. I told my former colleague to make an appointment with Dr. Saab to visit him at his residence. It was on Saturday morning, i was told that Dr. Saab was admitted in AIIMS and was in ventilator. i was eager to meet, but hopelessly could not meet him. Now, I am shattered with the guilt of not meeting him during his last day. 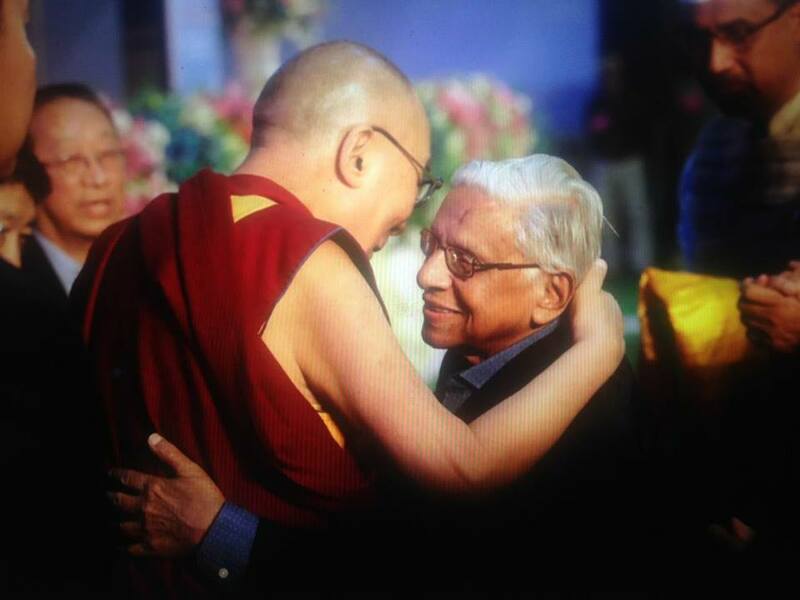 For years, Dr. Trikha supported us tirelessly and unconditionally, with the simple hope for justice and freedom of Tibet and dearly adored His Holiness the Dalai Lama with high respect. Tibet was so close to his heart that he dare not missed any events on Tibet, despite having constant health issues. With the sudden and untimely demise, I take this opportunity to express my heartfelt condolences to his bereaving family members in this darkest moment of their life. More so, it gives me courage to work harder for the cause of Tibet that Dr. Trikha dearly and wholeheartedly worked for the freedom of Tibet. Rest in Peace Dr. Saab. We will dearly miss you and shall keep you in our prayers. LHASA CONSENSUS: WILL IT MATTER? Series of programs and activities are happening these days in Lhasa under the initiative of PRC government to present and promote Tibet as a sanctuary of Peace and Harmony. 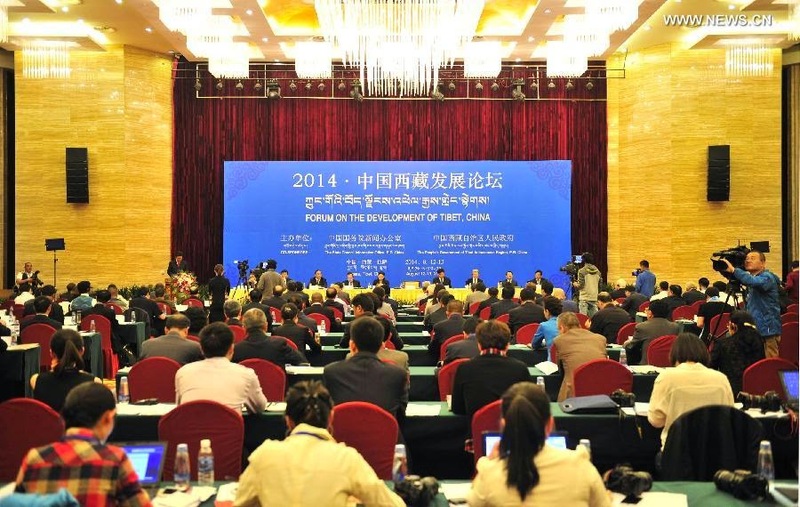 After the recently concluded "2014 Forum on the Development of Tibet, China," the Lhasa Consensus was adopted. PRC sympathizers like N. Ram and others were invited to speak in favour of PRC's policies inside Tibet, slammed His Holiness the Dalai Lama and espoused the Lhasa Consensus. For them, it was a usual business of patronizing PRC and a red carpet picnicking in Lhasa. China feels that they shove their propaganda to the new height by letting foreigners to judge what is happening inside Tibet. Is propaganda really necessary if China really works in favour of Tibet? Will this helps China to tighten their iron grip over Tibet? Will China open Tibet to all the foreigners and Medias? And above all, who should really decide the fate of Tibet, PRC; Foreigners; and Tibetans? 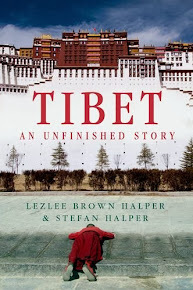 With such questions, the credibility of Lhasa Consensus needs to check whether they have done justice to Tibet or else merely fulfill the objectivity of Chinese propaganda. 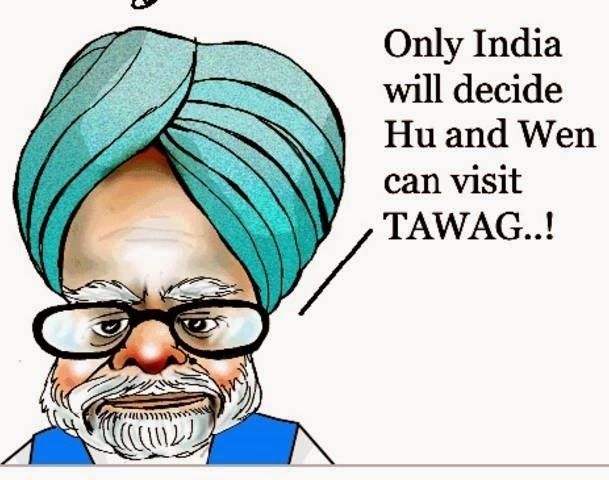 visit: Only India will decide Hu and Wen can visit TAWANG..! In 2003, India became jubilant when China agreed to not just remain mum over Sikkim but also went ahead in removing Sikkim as an 'independent nation' from their official website of the Chinese Foreign Ministry. The gesture, which Prime Minister Atal Vajpayee after returning from China justified by saying that he extracted concessions from Beijing on Sikkim without offering anything new on Tibet in exchange. Even after more than 60 years of establishing diplomatic relationship, India and China faces unprecedented challenges on its Himalayan borders. There has been a contest on the recognition of the Line of Actual Control and considers whole stretch of Himalayan border as a disputed zone. Analysts say that China wants to keep the status quo over border issues, which would help in maintaining China's leverage over India in their chase for power politics. Therefore, it is evident to find ever increasing transgressions along the borders. © Purgyal Forum. The views expressed in this forum are those of authors. Powered by Blogger.